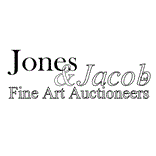 Since 1802, Jones & Jacob, and our predecessors, have been hosting regular fine art and antique auctions in Oxfordshire, and providing antiques valuations for specialist buyers and sellers around the London area. Over 200 years later, we continue to provide auction facilities, insurance valuations and probate valuations, for antiques traders, collectors, probate lawyers and individuals throughout the UK. Our staff bring a wealth of experience and expertise to help clients obtain the best results at auction. We pride ourselves on the level of personal involvement of the professional staff; your valuer is also your auctioneer. Our Managing Director is a Fellow of the Royal Institution of Chartered Surveyors (RICS). We are regulated by Royal Institution of Chartered Surveyors (RICS) and follow their ‘Red Book’ guidance on valuation practice. We operate a full sales calendar at our Oxfordshire salesroom, with regular monthly fine art and antiques auctions. Auction catalogues are available to view online and are updated regularly with detailed photo galleries, descriptions and guide prices. We provide a full range of personal property services, including valuations for probate and insurance. We hold regular auctions in our own Oxforshire saleroom.